Can i earn by doing SMS sending jobs from mobile?No Way! You are here: Home / Make money Online / Can i earn by doing SMS sending jobs from mobile? Not a chance! Can i earn by doing SMS sending jobs from mobile? Not a chance! If you are a new on SMS Sending jobs here is some of common tricks that fraud people usually use to scam people money by Fake sms sending jobs from mobile. Everyone must read it and share it to your friend and family to keep online environment safe! I called some of SMS sending jobs websites and asked then how I going to earn so much money by send free SMS , they told me that I need to send only free SMS from my mobile and I can earn up to Rs-5 -10. (Stupid work by Stupid people) Now when I search review and complaints of those sites I realised that all those sweet talk are big lie. They all tailing lie to their members and convene them to join into their fake SMS sending jobs. At a time of payment they turn their word and force each member to involve their friend and family to join into their Fake SMS sending plan so that they can earn more registration fees. If anyone refused to refer others into their scheme then that particular member can’t get their payment. Overall it’s a Marketing scam, where you need to refer your friend and let them go to get trapped into their fake SMS sending jobs. Some people may able to refer few friends to join Fake SMS sending jobs but still there is no guaranteed to get paid. I saw many compliant on consumer forums that after refer 50-100 people into SMS Sending jobs people are cheated and no payment done by their SMS sending jobs provider. Read: Newspaper SMS Jobs a Scam or Opportunity? India Govt does not allow any MLM over SMS or phone marketing , so any one offering SMS sending jobs , Doing SMS sending jobs , or refer someone to SMS sending jobs will be a big crime. So better to forget about those fake Jobs and work hard using our make money online tips. 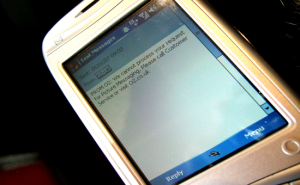 Do you know MLM marking over sms sending jobs from mobile is a crime in India? Why are you still silent? Don’t join in SMS sending jobs and Stop other to join into any SMS sending jobs. If you caught anyone dealing with SMS sending jobs report it immediately to the police. SMS Sending jobs not only a scam jobs, but it’s a waste of money, time and your effort. You can lose you mental protuberance and get disappointed into your real life for those scammer trend. I was surprised when I wake up and see my blog , almost 10-15 people daily commend on my article Top 100 fake SMS sending jobs that they are also lost their money on a new fake SMS sending jobs. Now it’s your turn promise me that you guy are never going to search any sms sending jobs from mobile. Keep one thing into your mind that there is no SMS Sending jobs to earn money. All are fake and better to avoid them! I am Deepu. I want do mobile sms job. Please select me. Sir/ Mam. mo.no. 7607902821. Please give me information about this job. Father name Mr.Suresh Paswan.I am a poor student of class 10. So i want do this work. Address. I live in a village Bahora, Post Dharde, District Chandauli, Pincode 232103, Age about 18 year. Thank you.